What are Supernumerary T eeth? The supernumerary teeth occur a lot more among the permanent teeth compared to the deciduous teeth. The case of a single supernumerary tooth presence is more common but the occurrence of multiple supernumerary teeth is also. The case of the teeth occurrence is same for deciduous teeth for both males and females. But when it comes to the permanent teeth the incidences of the extra teeth is twice as much in males compared to females. The supernumerary teeth are classified into several groups based on their morphology and location. On the basis of morphology four types emerge. These are conical, tuberculate, supplemental and Odontoma. The Odontoma type is further classified into complex composite Odontoma and compound composite Odontoma. Classification according to location gives only two types, that is, those found among the front teeth (also known as mesiodens) and those found at the back of the mouth. As the name suggests the conical type are peg shaped and are normally present among the front teeth. Tuberculate on the other hand have two or more tubercles or cusp. They are very rare and are usually paired. The supplemental types occur as duplication in the normal teeth series. They are mostly found in the lateral incisor, premolar and molar region. The Odontoma can be totally disorganized or can resemble the normal structure. People with the extra teeth can encounter several problems. The supernumerary teeth usually displace the adjacent teeth. 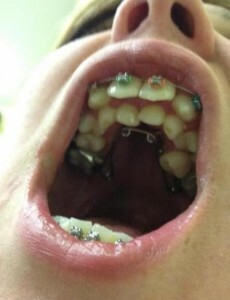 If one wants their teeth to be aligned the extra teeth have to be removed. These extra teeth can also cause a hindrance to the normal teeth that should erupt from the gum. Hence the supernumerary teeth must be extracted for the normal teeth to erupt. The presence of extra teeth in the mouth also leads to crowding of teeth in the mouth. Extraction of the extra teeth is the only way of solving this problem. Some pathological conditions like cyst formation are also more likely to occur when one has the extra teeth. The presence of these extra teeth can also results in the resorption of the adjacent teeth’s roots depending on the location. If these happens, the supernumerary teeth must be removed immediately. Although these teeth can cause the several problems mentioned, it does not mean that they must always be extracted when spotted. Sometimes they exist without causing any of these problems. If they do not cause any of the problems stated, then they should not be extracted. 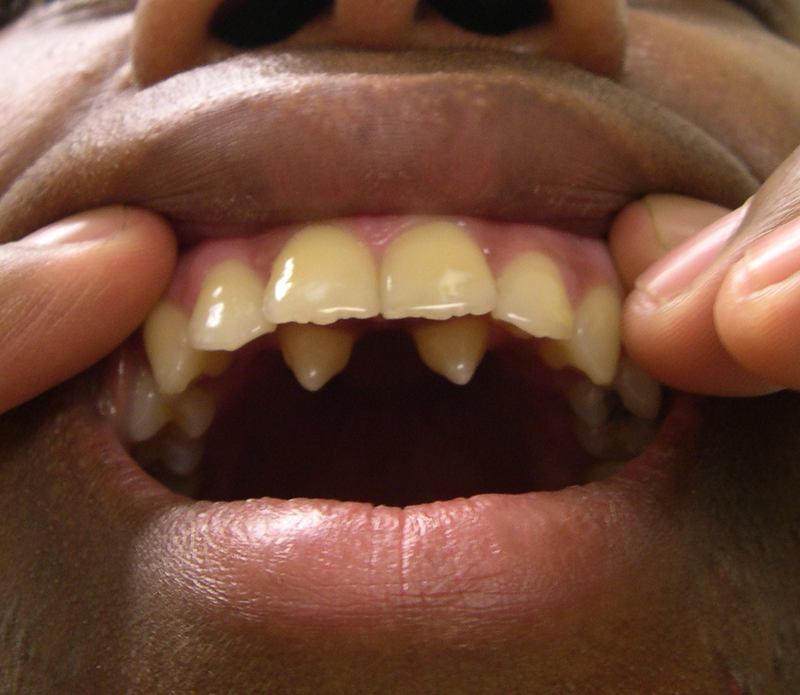 Both extra teeth and supernumerary teeth refer to the same medical condition called hyperdontia. The name has a Latin origin although it is widely known in the everyday life as having supernumeraries. An extra tooth may resemble the shape of the tooth of the group it belongs. The additional tooth may develop from a separate tooth bud or from splitting the permanent tooth bud. 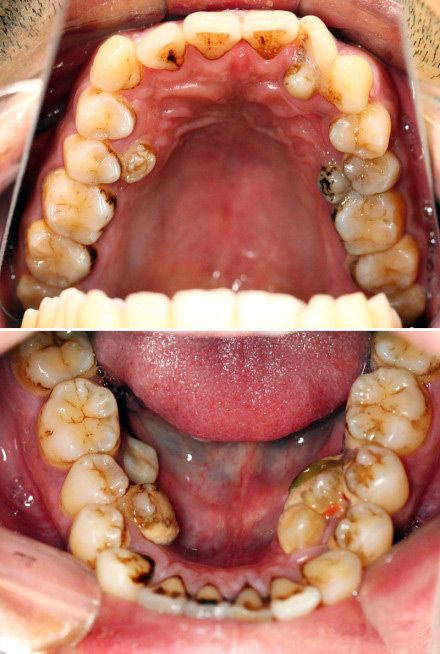 This is an interesting hyperdontia patient – he has all his wisdom teeth out and 7 supernumerary teeth. That makes 39 teeth in the mouth.